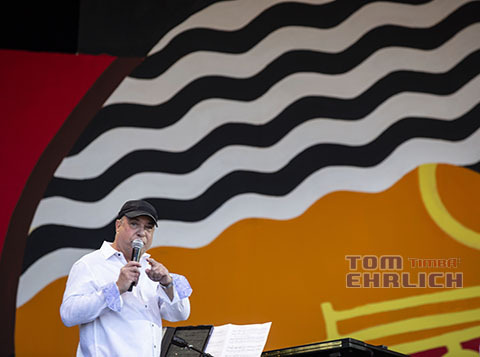 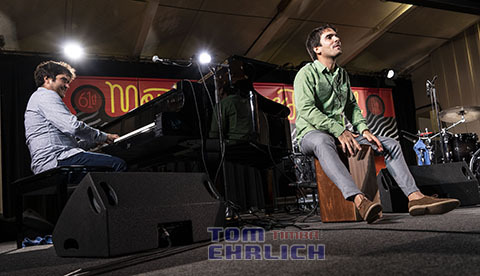 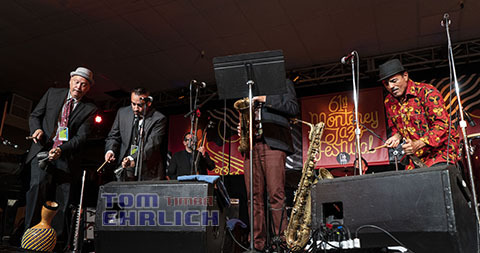 Saturday at Monterey Jazz Festival was loaded with outstanding groups from 12:30 p.m. to approximately 11:30 p.m. 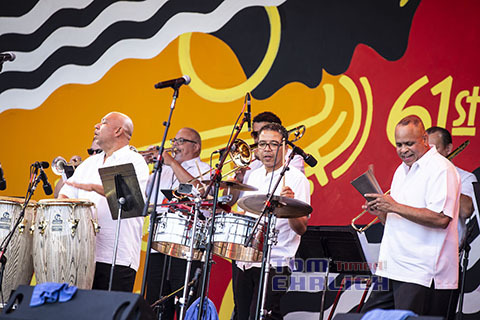 I will cover the following groups in this report: José James Celebrates Bill Withers project, Oscar Hernández and the Spanish Harlem Orchestra with Hubert Laws, John Santos Sextet with Destini Wolf and Kenny Washington with their Unusual Standards project, and Harold López Nussa Trio. 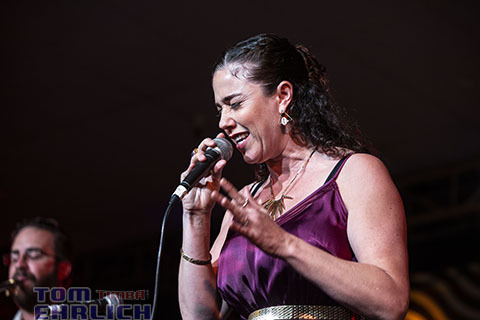 There will be a part 2 for the Saturday groups I will report on as well as the Sunday groups. 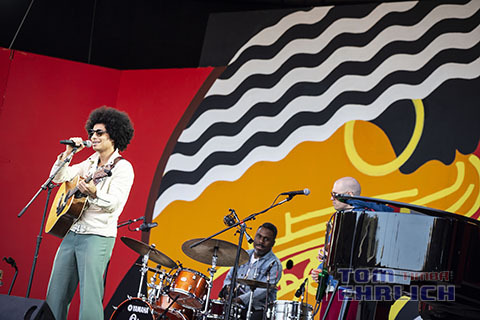 José James is a young internationlly popular vocalist who fuses jazz, soul music, hip hop and other styles. 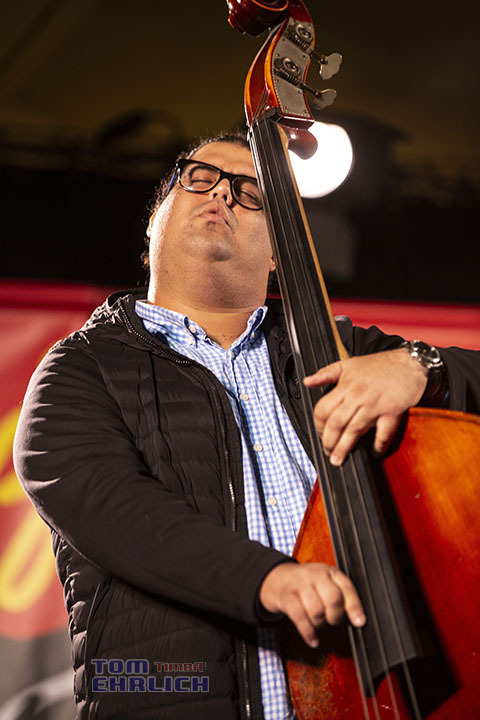 He has eight recordings, each with a different emphasis. 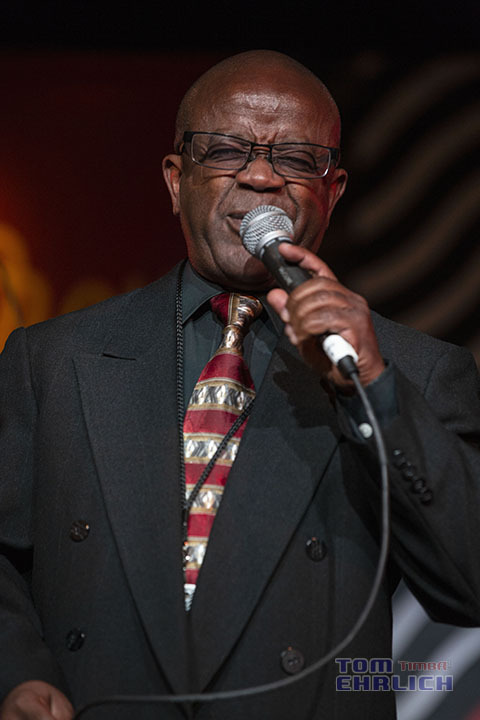 His latest project is a tribute to singer, songwriter Bill Withers. 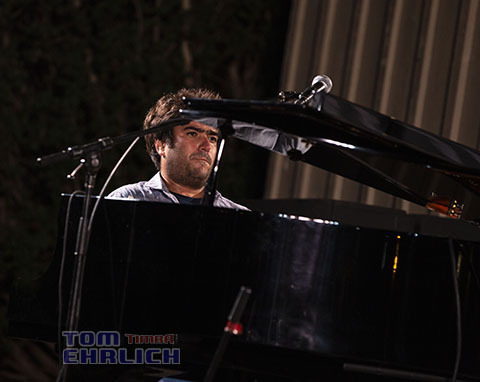 The program included Bill Withers most popular songs and José did an excellent job creating a Bill Withers vibe and actually sounded a lot like him. 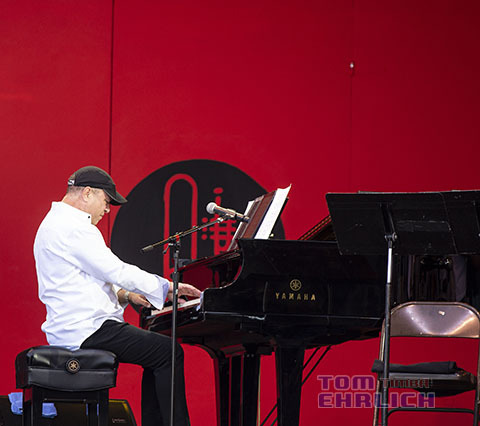 He was a crowd pleaser. 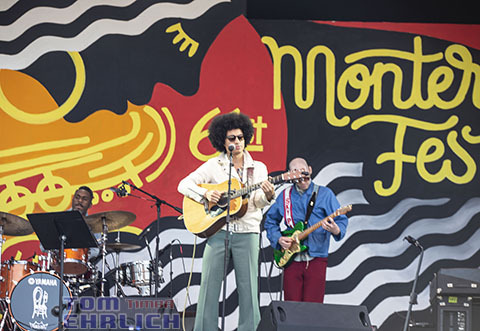 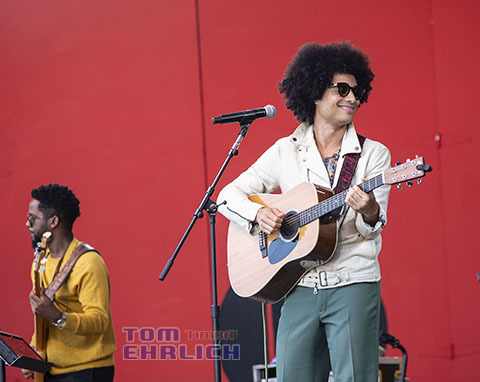 José James had an excellent bnd which included Nate Smith great drummer, Ben Williams outstanding bassist, Brad Allen Williams on guitar and James Francies on keyboards. 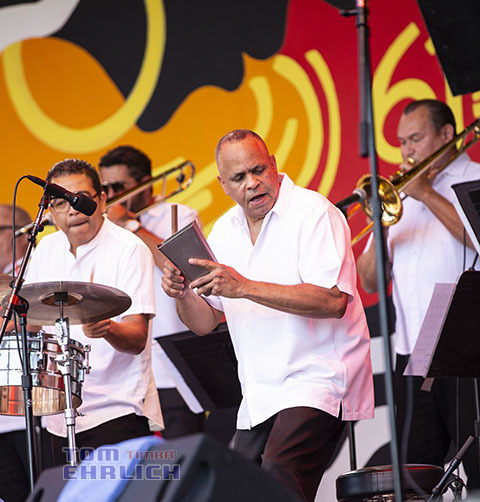 Spanish Harlem Orchestra is considered by many, inlcuding me, to be one of the best, if not the best salsa orchestra in the world. 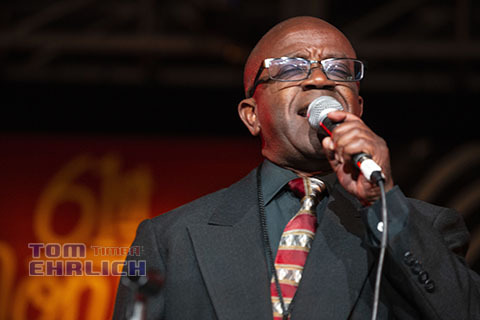 Formed in 2000, SHO has earned two grammy awards for two of their recordings. 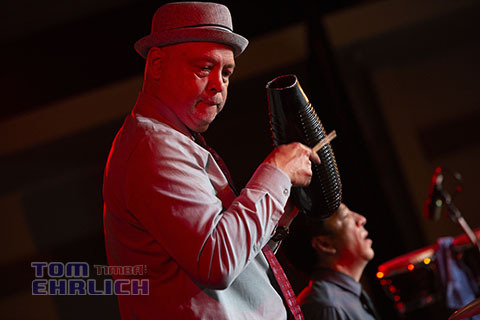 Each member of SHO is among the best musicians on their instruments. 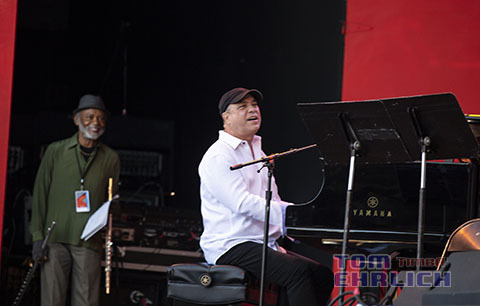 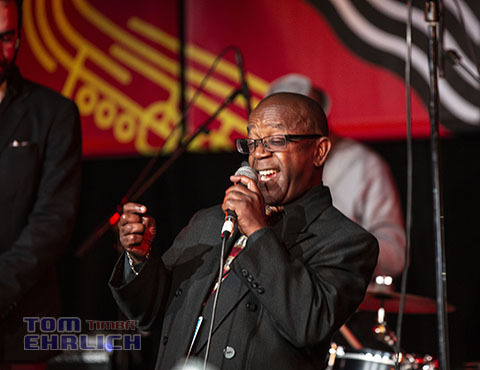 Leader, Oscar Hernández, has had a long illustrious career as a pianist, composer, arranger and musical director of numerous salsa and latin jazz groups. 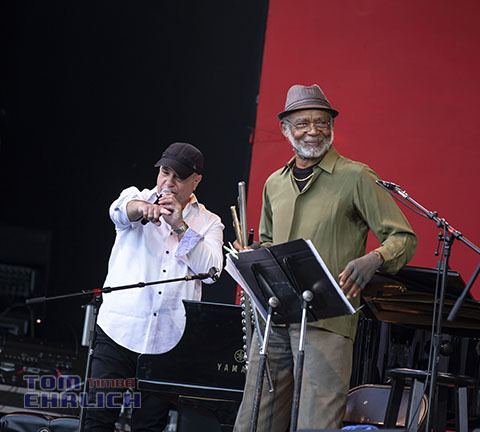 He has been associated with Ray Barretto, Ruben Blades, Conjunto Libre, Seis de Solar, Paul Simon and many others. 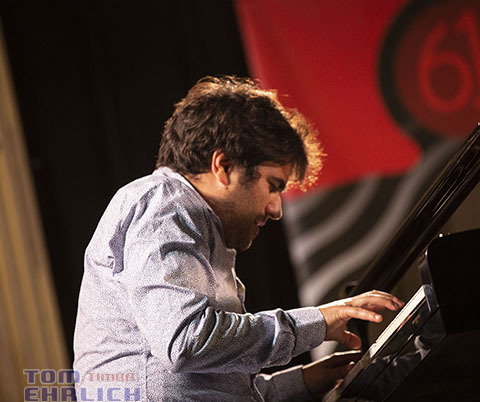 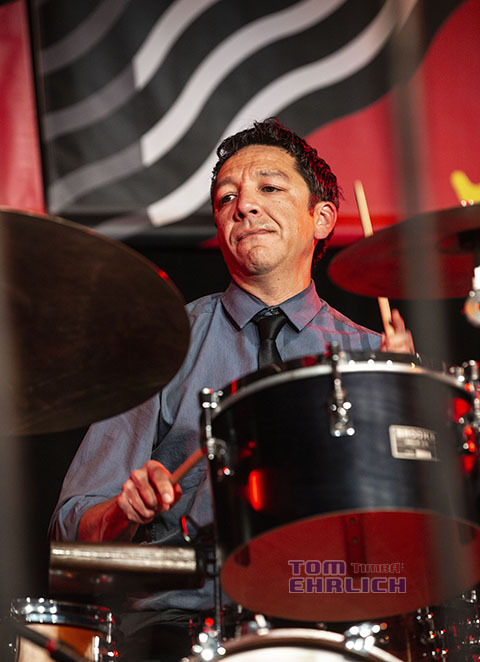 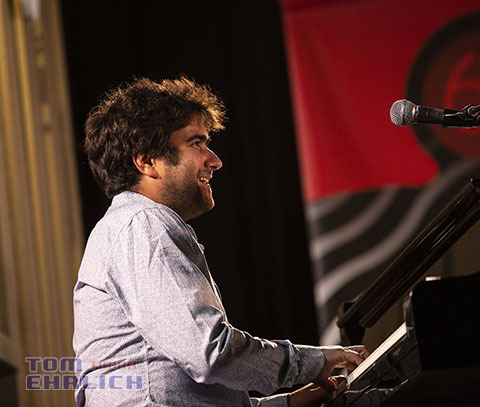 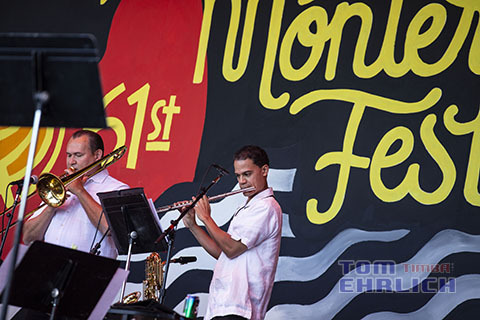 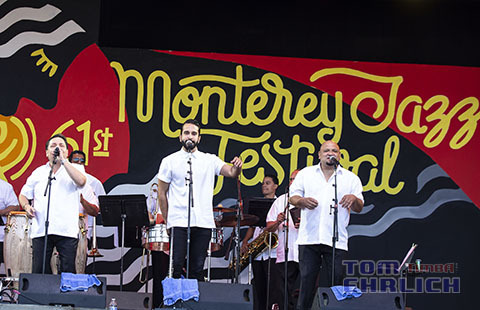 Oscar Hernández was commissioned to compose and arrange a new musical piece by the Monterey Jazz Festival. 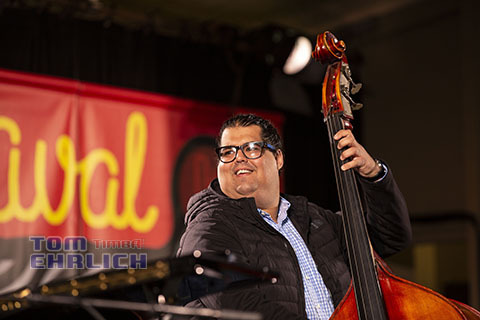 It was the first time in MJF's history that they commissioned someone to compose a salsa/latin jazz piece. 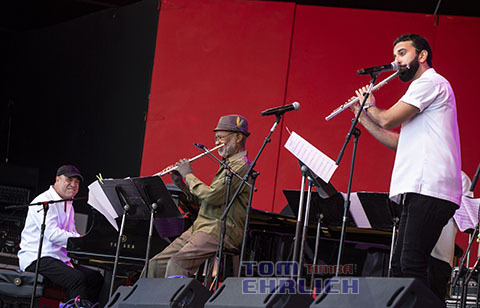 Flute legend Hubert Laws appeared with SHO for the commissioned piece. 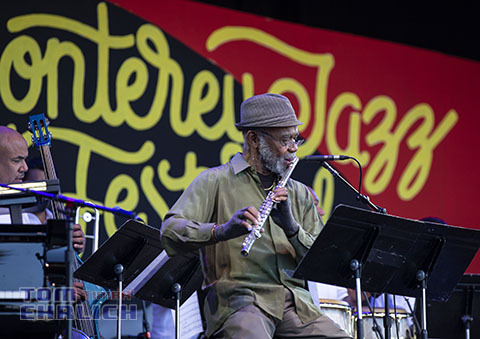 The 20 minute latin jazz suite for flutes was called Monterey Encounter. 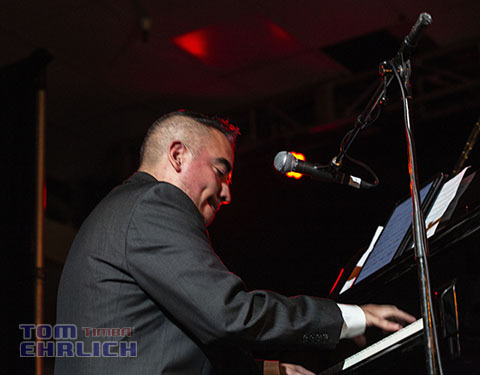 The music was bautiful with great arranging and outstanding musical performances. 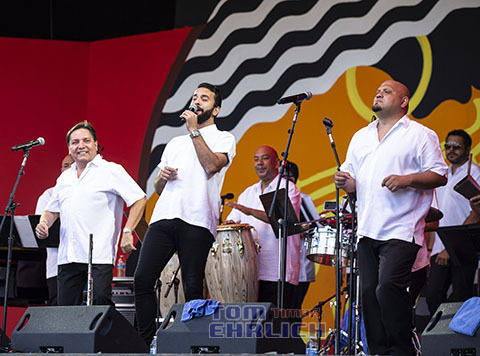 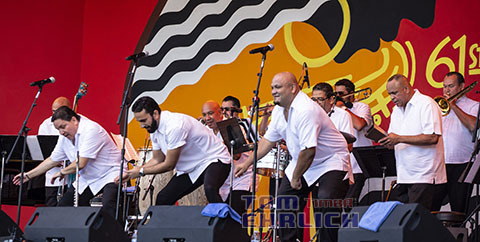 Before the group performed Monterey Enclounter, SHO played a number of their big band salsa tunes which had a large goup of the audiance dancing in the isles. 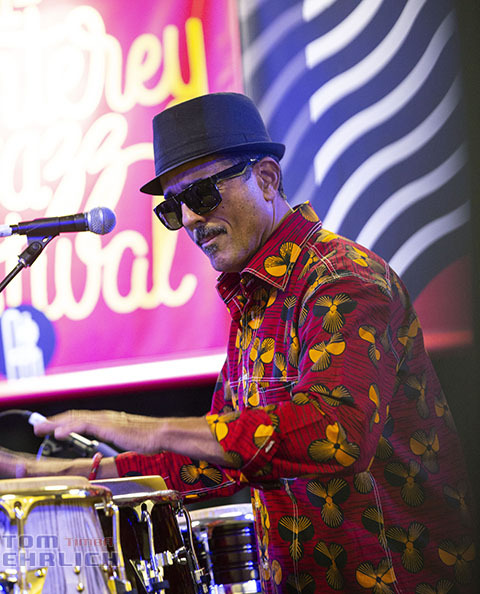 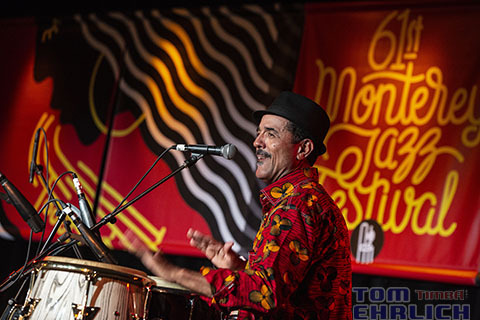 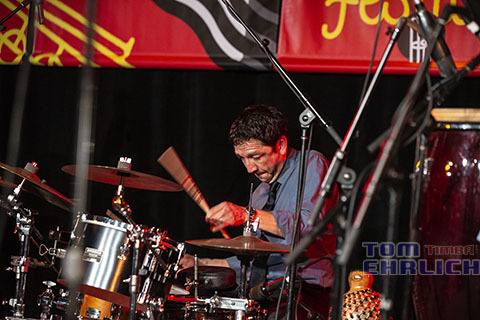 John Santos is an internationally respected percussionist, composer, band leader, recording producer, teacher and expert in Afro-Caribbean music. 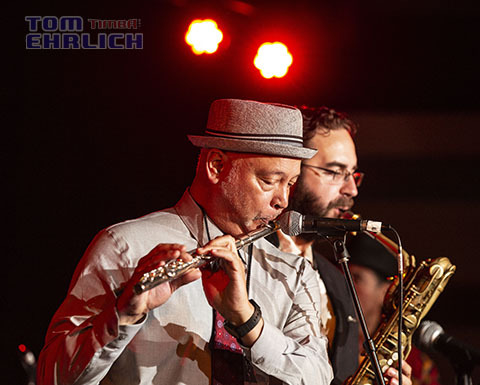 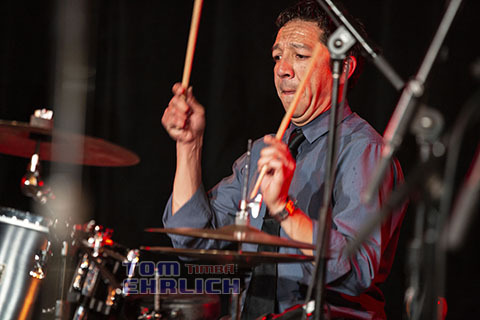 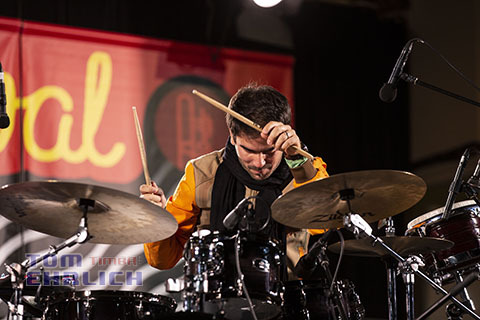 His sextet is composed of some of the best musicians in the San Francisco Bay Area and most are band leaders and perform with numerous other groups in the Bay Area. 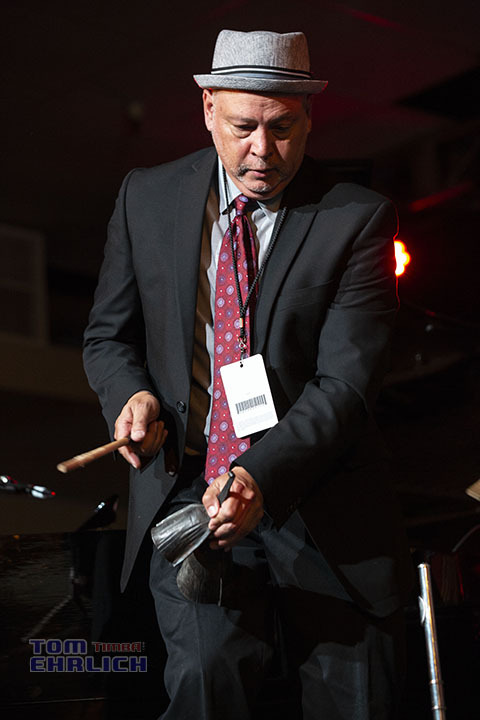 John has a large following in the Bay Area where he maintains a busy performing schedule as well as teaching in various schools and conducting workshops and lectures for various organizations. 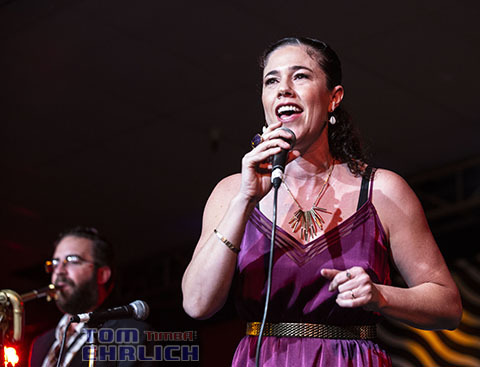 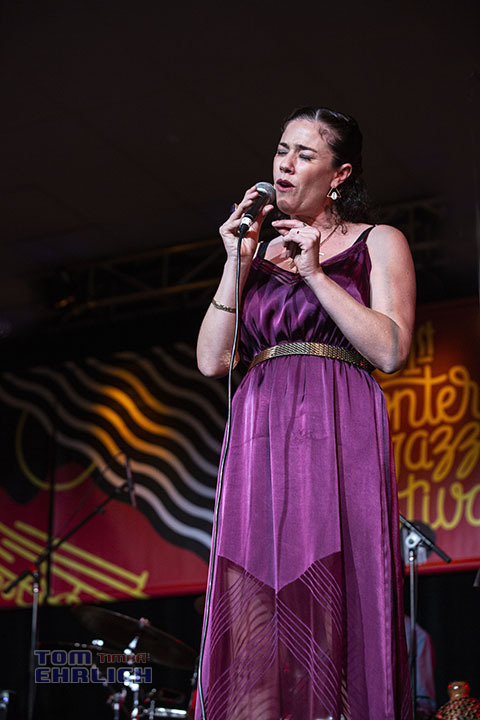 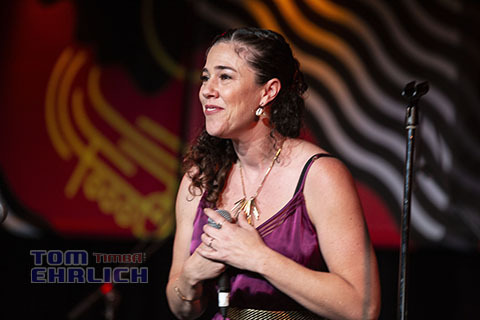 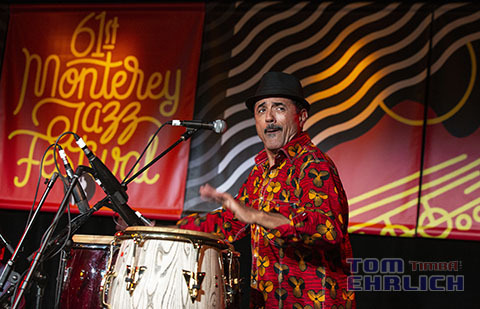 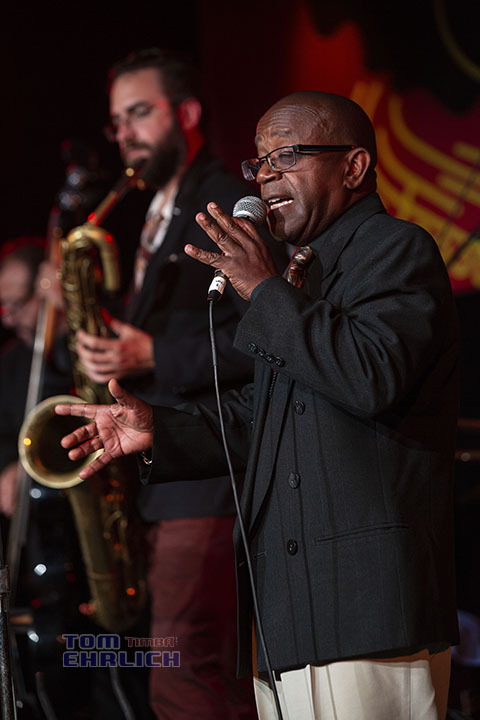 Sanots brought his Unusual Standards project to Monterey, which included two excellent vocalists Destini Wolf and Kenny Washington - where the group did latin jazz versions of jazz standards as well as original compositions composed by Santos and other members of the group. 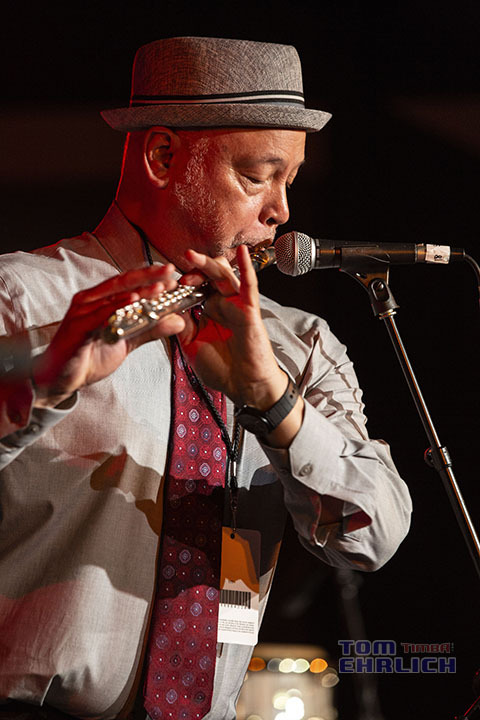 John Calloway plays flute, piano and small percussion. 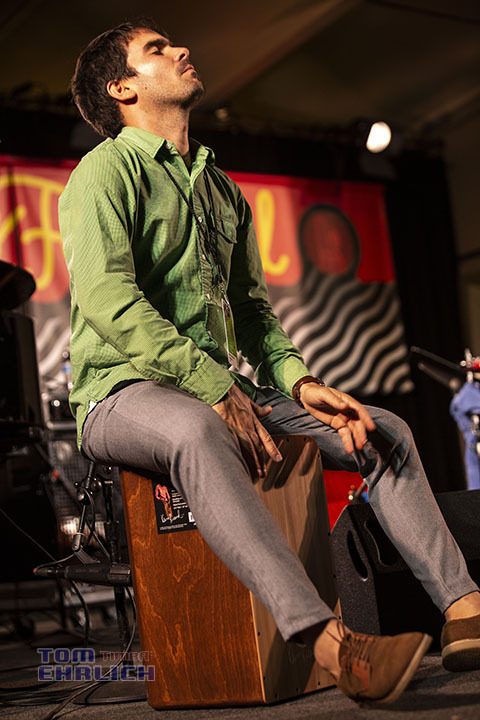 He teaches both in high schools and universities and also leads his own groups. 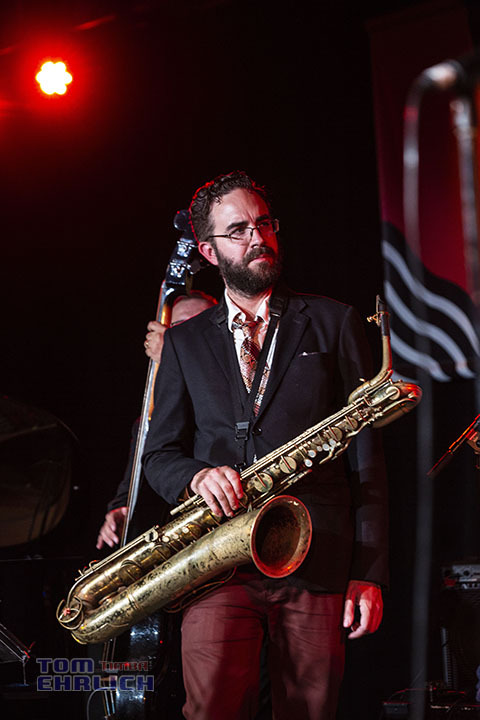 Charlie Gurke played baritone saxophone. 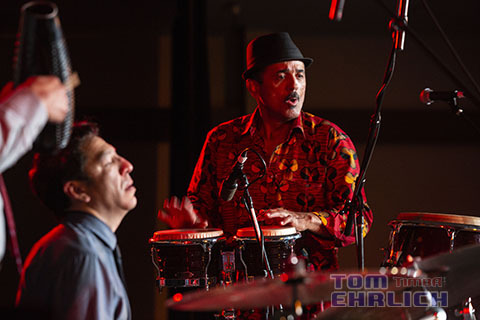 I have seen John Santos' groups perform dozens of times and they always deliver. 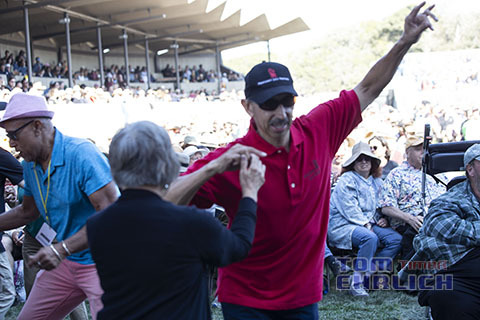 As usual, at Monterey, they got standing ovations. 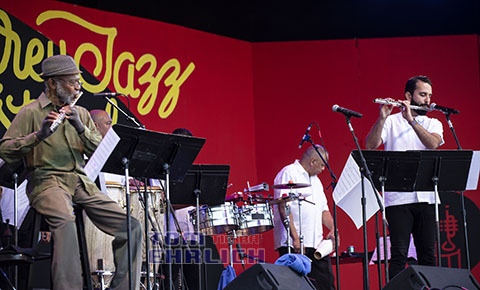 This powerhouse trio of young Cuban virtuoso musicians who all live in Havana are one of the most popular Cuban jazz groups that tour internationally. 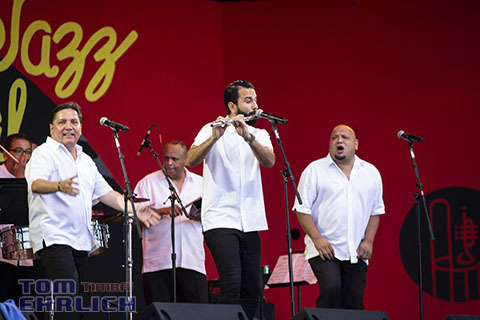 The trio has 4 excellent recordings the newest of whcih is called Un Dia Cualquiera. 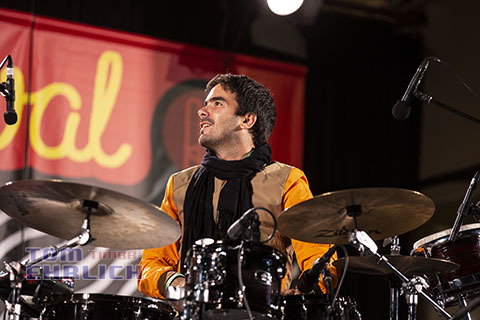 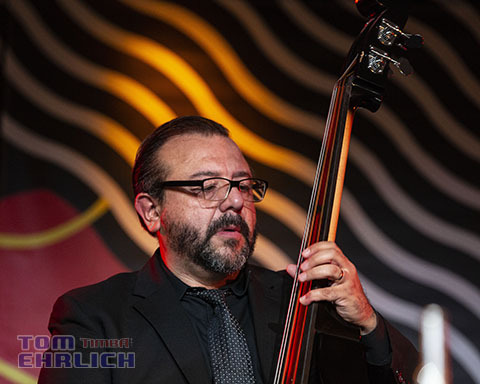 Gaston Joya also plays bass with Chucho Valdés and recently released his first album that won an award at the Cuba Disco Awards this year for the best jazz solos. 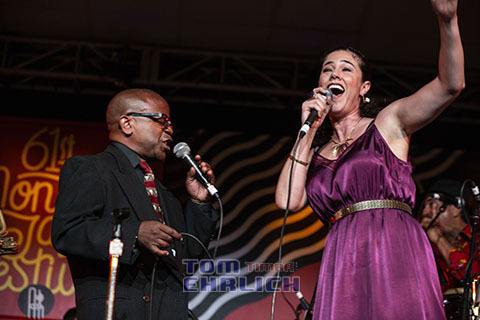 Its a beautiful recording called Mama Ina.